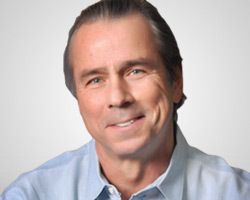 Howard A. Tullman is the former CEO of 1871 in Chicago, where digital startups get their start, and the general managing partner for the Chicago High Tech Investment Partners, LLC and for G2T3V, LLC - both Chicago-based early-stage venture capital funds. Mr Tullman is the past Chairman/CEO of Tribeca Flashpoint College which he co-founded in 2007 and the former president of Kendall College in Chicago, as well as the former Chairman/CEO of Experiencia, Inc. He is the Chairman of the Endowment Committee of Anshe Emet Synagogue; a member of the ChicagoNEXT and Cultural Affairs Councils; the Innovate Illinois and Illinois Arts Councils; an Advisory Board member of HighTower Associates, and Imerman Angels, and an adjunct professor at Northwestern's Kellogg School, as well as a regular guest lecturer at the Northwestern University School of Law. Mr. Tullman also serves as a Director of Vehcon, SnapSheet, and Keeper Security and served as a long-time Director and Board Chairman of The Cobalt Group, a Trustee of the Museum of Contemporary Art in Chicago and of the New York Academy of Art and the Mary and Leigh Block Museum of Art at Northwestern University, and as the lead Director (and briefly Chairman) of The Princeton Review. Over the last 50 years, he has successfully founded more than a dozen high-tech companies.